Canadian aerospace manufacturer Bombardier Business Aircraft’s new Learjet service facility at Miami-Opa Locka Executive Airport will bring not only $100 million in capital investment and 300 jobs but also an engagement with local schools to train its future workforce. Bombardier on Oct. 3 announced its deal with Miami-Dade County to build the center, which will open in 2020 when the Montreal-based company’s lease with Fort Lauderdale-Hollywood International Airport expires. The 300,000-square-foot facility, which can house about 45 airplanes and will offer painting, servicing and aircraft repairs, is likely to attract “high-net-worth individuals, Fortune 500 companies and their teams to the Opa-Locka area,” Miami-Dade Mayor Carlos Giménez wrote in a March memo. The new service center will “more than double the company’s current customer service footprint in Florida with new capabilities, including a paint facility for the center’s vast customer base spanning the US and Latin America,” a release from the company stated. Mr. Gallagher said Bombardier was interested in partnering with Miami Northwestern Senior High School and Florida Memorial University graduate Barrington Irving, who in 2005 founded the nonprofit Experience Aviation and established a flight learning center at Miami-Opa Locka a year later. In 2007 Mr. Irving became the first African American and the youngest person at the time to fly solo around the globe. Mr. Gallagher said Bombardier spends about $5 million per year in the US training employees. The company is in the early stages of narrowing its list of area schools to target for programs. Florida schools from which Bombardier has recruited students include Broward College, George T. Baker Aviation Technical College in Miami and Embry-Riddle Aeronautical University in Daytona Beach. 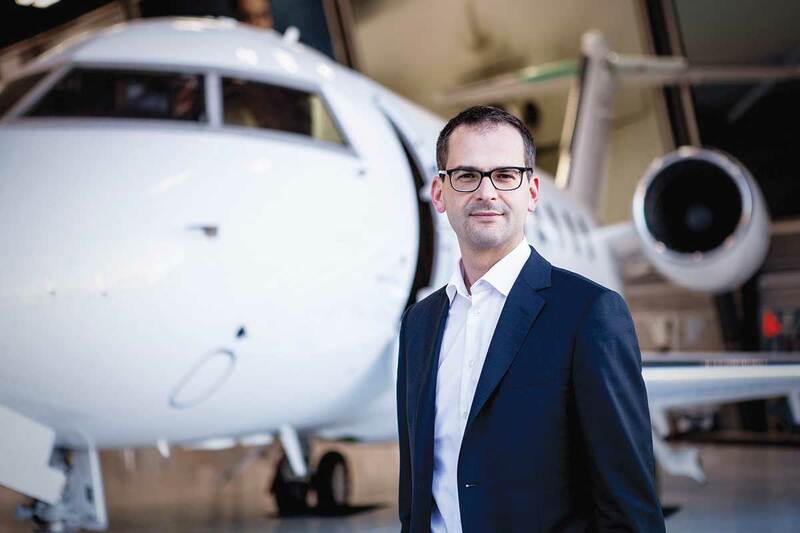 “Developing educational programming partnerships takes time, and we cannot reveal details as we need to lay the groundwork for these programs,” Bombardier spokesperson Matthew Nicholls wrote last week. Outside the state, according to Mr. Nicholls, Bombardier has hired employees from schools in Dallas, Wichita, Hartford and Tucson. The company’s new Miami-Dade facility will host about 200 employees when it opens, but Mr. Gallagher said it will ultimately reach double the number of full-time equivalent jobs reported in April. Those jobs will average $70,000 in annual pay, according to Mayor Giménez. The bulk of the Opa-Locka Miami facility’s workforce will be comprised of aviation technicians, Mr. Gallagher said, but there will be job opportunities for managers, financial specialists and other professionals. Bombardier, which employs 69,500 workers across four business segments in 28 nations, lists its shares on the Toronto Stock Exchange. In the fiscal year ended Dec. 31, 2017 – when the company reported it delivered its 3,00th Learjet – the luxury aircraft manufacturer posted revenues of $16.2 billion.